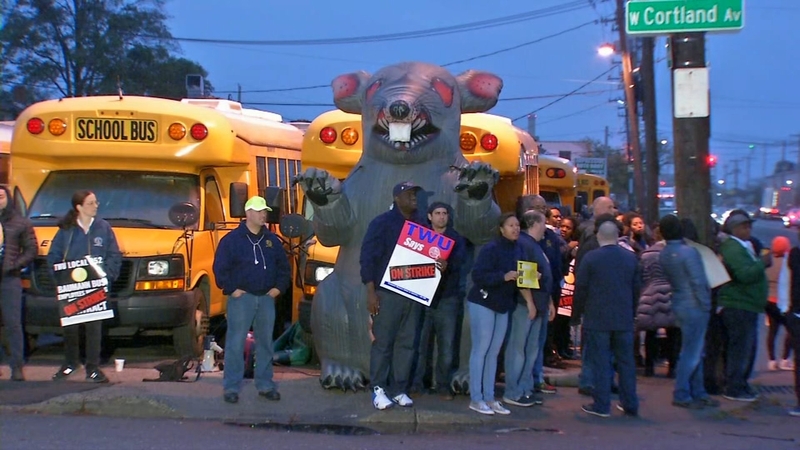 LONG ISLAND (WABC) -- Federal mediators will step in again to try and resolve a school bus strike on Long Island. Bus drivers, monitors and mechanics walked off the job on Monday. Transport Union TWU Local 252 and Baumann & Sons Buses have been in ongoing talks for weeks in the contract dispute, but have been unable to reach an agreement on issues such as guaranteed weeks of work, sick day pay and a salary increase. The workers union and officials met for 10 hours on Tuesday, but they have yet to come up with an agreement. The employees work for the Freeport, Bladwin, Hicksville and Rockville Centre districts.